In the world of EDM summer is the time for great festivals and open-air parties, so we are very happy to introduce to you our new HOT sample pack: EDM ARENA! If you want to produce tracks like those hard bangers played by DJs at Tomorrowland, EDC, Coachella, Alfa Future People, Sensation etc, EDM Arena is the one for you! In detail expect to find 1.08 Gb at 130 BPM including 350 EDM One Shots, 60 Bigroom Synth Loops, 40 Phat Bass Loops, 10 Drum Fills, 60 Top Loops, 60 Full Drum Loops, 230 Rex2 Files, 111 Sampler Patches, 50 SFX + Promo & Discount Folder. 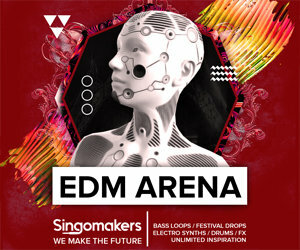 Here is a list of artists who are an inspiration for EDM ARENA sample pack - Dimitri Vegas & Like Mike, Hardwell, W&W,Ummet Ozcan, Nervo, R3hab, DVBBS, Showtek, Sander Van Doorn, Tiesto, Afrojack, Fedde Le Grand, Laidback Luke and more EDM, Electro and Big Room artists. 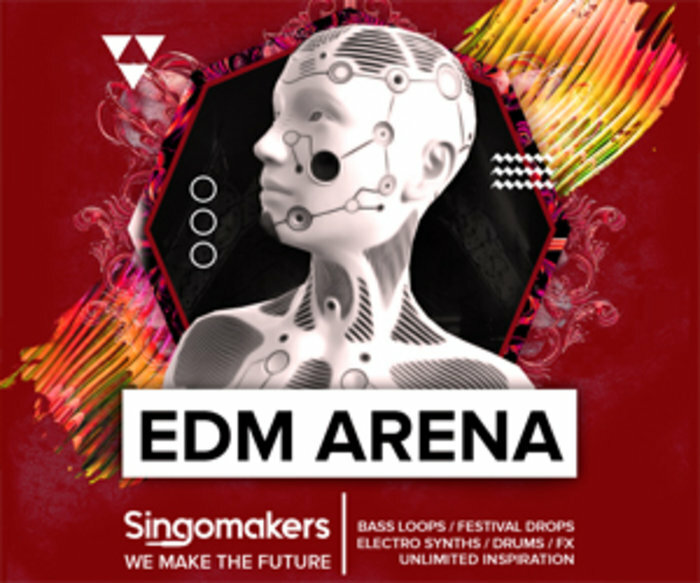 Singomakers have provided Promo/Discount codes for their amazing Fatmaker, Kick Tweak & Magic Stereo VST/AU plugins, which have been used by many A-List producers like Hardwell, Chris Lake, Dannic, W&W, Joachim Garraud, D.O.D, Jordy Dazz, Shapov, Swanky Tunes and more! release on labels, use for commercials, youtube, TV, radio and more! Check this powerful demo and download EDM Arena sample pack today! This sample pack will be an essential tool for your future productions.